On a weekly basis, students have an individual lesson of 20 to 60 minutes, according to the student’s maturity and instrumental level. The duration of the lessons is adapted to every individual’s needs. To illustrate, you can find a table of estimated lesson durations according to different instrumental levels (only as an indication). Every week, group lessons are organised. Different musical and technical aspects are trained in group, using the already acquired repertoire (from the individual lessons and by heart) as basis. These group classes are very important to the students ! The students will develop their skills on a much higher speed while flourishing by sharing their passions with the others children, that are playing the exact same pieces. It is therefore a very big source of inspiration and motivation to keep up the daily work ! The number and duration of the group lessons is determined by the instrumental level of each student. You can find some indications on the timetable (illustrational). The role of the parent is of vital importance ! The active participation of the parent is indispensable ! Depending on the age and the maturity of the child, the parent is asked to follow himself a basic formation in order to better instruct their child during the daily home practice sessions. This formation will take place during the child’s lessons. The duration of the lessons will be divided between the parent, the child and collective exercises. At first, a big part of the lessons is dedicated to the parent. Gradually (in function of the child) this balance changes until the parent acts only as an active observer. Parents that wish to continue their musical formation can also follow private lessons. From the earliest age, the students are ready to play in an ensemble. Once the students reaches the level of Suzuki book 2, he’ll participate in the orchestra class, which focusses on the reading and deciphering of musical scores by playing them together in the ensemble. At the same time, the children learn to play with a conductor. This course will be integrated with the group lessons. Please check the illustrated timetable for more information. Why wouldn’t adults be invited, ready or capable of learning an instrument? 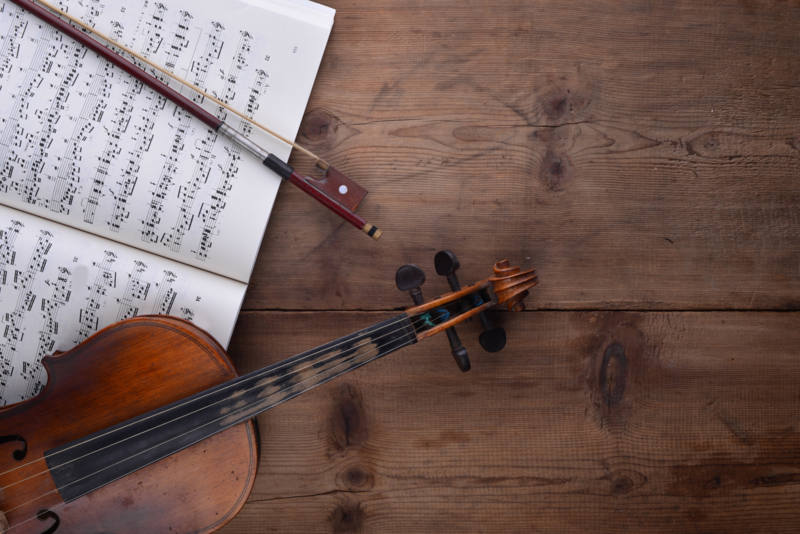 Many adults consider themselves too old to start learning an instrument. Nothing is less true! Have you been playing your instrument already for some (or a long) time or would you just like to start? Don’t hesitate to contact us for more information and together we’ll make you a personalised lesson schedule. You are all welcome! During the year, multiple concerts will be organised in which all the students will participate. Adult are not obliged to perform in public concerts but are very welcome to do so nevertheless.